Prószyński Media is one of the largest book publishing companies in Poland. 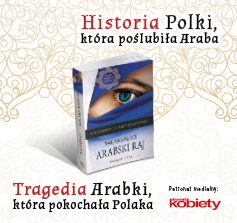 It has been operating since 1990 and today it publishes about 200 titles a year under Prószyński i S-ka imprint. We publish Polish and foreign classics, modern fiction and non-fiction, children`s and young adult titles as well as general interest books. Among our writers there are outstanding Polish authors: Henryk Jerzy Chmielewski, Maria Czubaszek, Konstanty Ildefons Gałczyński, Marek Harny, Grażyna Jeromin-Gałuszka, Stefan Kisielewski, Irena Matuszkiewicz, Agnieszka Osiecka, Olga Rudnicka, Maria Ulatowska and Tanya Valko. Prószyński Media is constantly expanding its foreign fiction and non-fiction list including such great authors as Virginia C. Andrews, Orson Scott Card, Diana Chamberlain, Jeffery Deaver, Ursula K. Le Guin, John Irving, Henry James, Stephen King, Dennis Lehane, Liane Moriarty, Jodi Picoult, Terry Pratchett, Nora Roberts, John Steinbeck and Amy Tan.